Creating a fabulous space for your baby is high on the pregnancy checklist for parents-to-be, but what if you don’t know where to start or even where to find those awesome children’s decor finds? No need to panic, it’s all here at Dinosaur District! Whether it’s a nursery you’re getting ready to kit out or you need the perfect gift for a small person, Dinosaur District has your back. A new Australian online store and home to all things on trend, gorgeous and unique, Dinosaur District is manned by sister duo Amy and Cat. 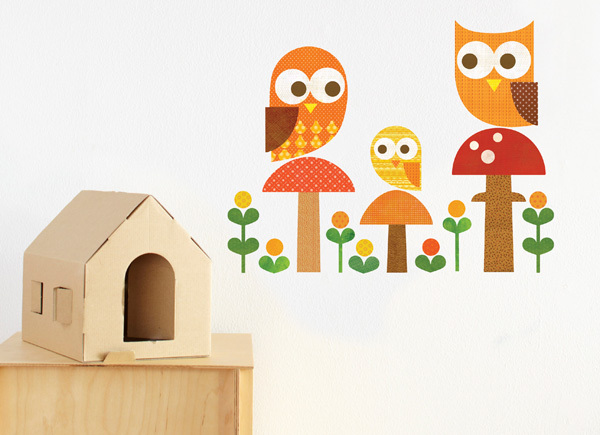 Together, they want nothing more than to provide you with decorating inspiration and helpful tips for nursery and bedroom styling. This amazing store’s philosophy is to offer its customers quality items from all over the world that are made sustainably, responsibly, ethically and as naturally as possible. Their virtual shelves are stocked with all manner of delights, including magnificent woollen wares from the Himalayas, Peru and of course a smattering of Australian brands too. Perhaps my favourite section of Dinosaur District is the theme section. Click on this tab and a bounty of decor themed mood boards (such as the one pictured above) are revealed, from ‘Keeping it a surprise‘ to ‘I love fluro‘ and everything in between. 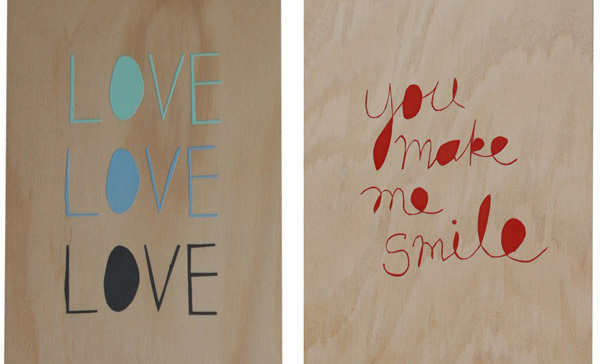 Then within each theme there’s a design board of beautiful products to choose from. It can’t get much easier than that! 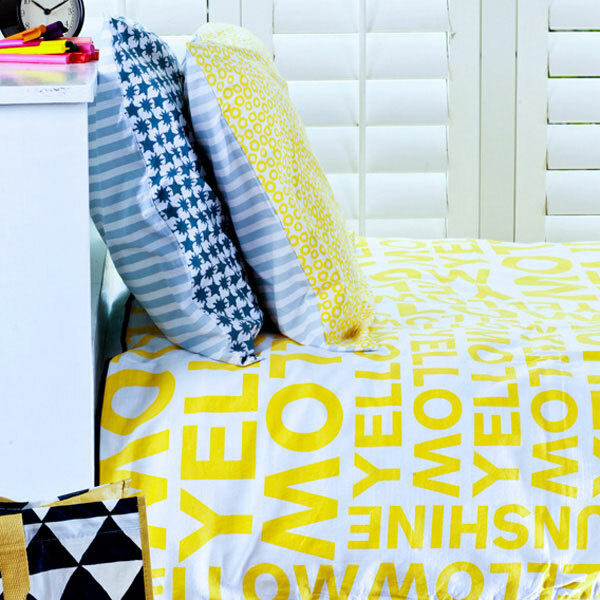 A great place to start for pepping up a space is with new cushions and bedlinen. Choose from bright and bold designs from brands including La cerise sur le gateau (priced from $83.60), Blafre (priced $49.90) or the beautifully serene, pastel shades of Blabla wares (pictured below) priced from $52. All your decor requirements are met within the one store with a plethora of rugs, lamps, wall art and decals in popular themes, bean bags and even bunting. 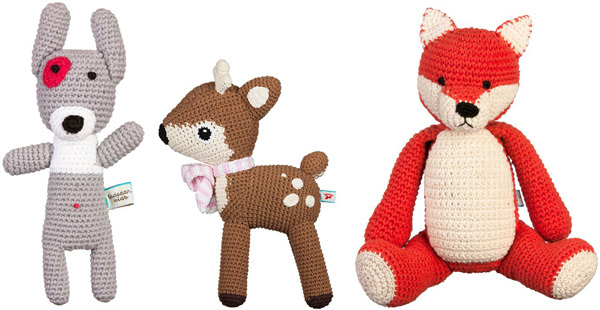 The perfect gift is easy to find too with a bevy of knitted soft toys at prices starting as low as $15. Cute as a button and buttery soft for the most sensitive of skin, babies and young children will love the selection available from Ladedah Kids. Storage has never been better looking than what it is with these colourful Miss Lolly Toy Boxes ($49.95 each). Excellent for everything from toys to laundry, Dinosaur District shows us storage can be just as stylish as what it is practical! 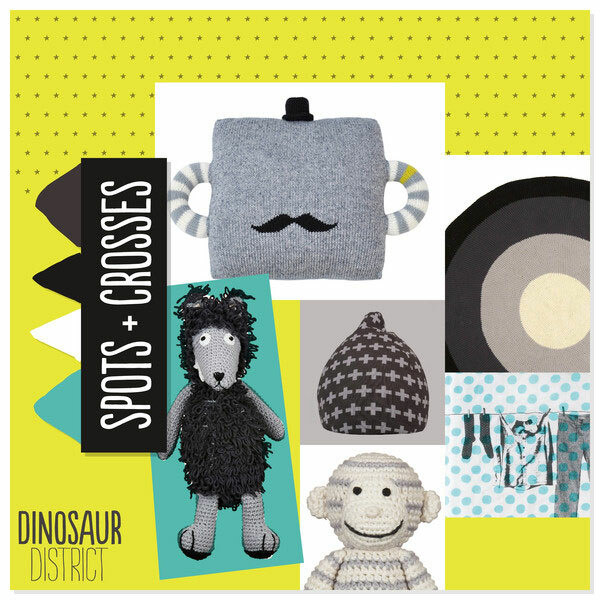 Dinosaur District truly do offer multiple services – from the planning to the execution – they’ll help you build your room with confidence, guiding you the whole way with sound advice and products for little (and big!) people to cherish for years to come. Be sure to check them out!